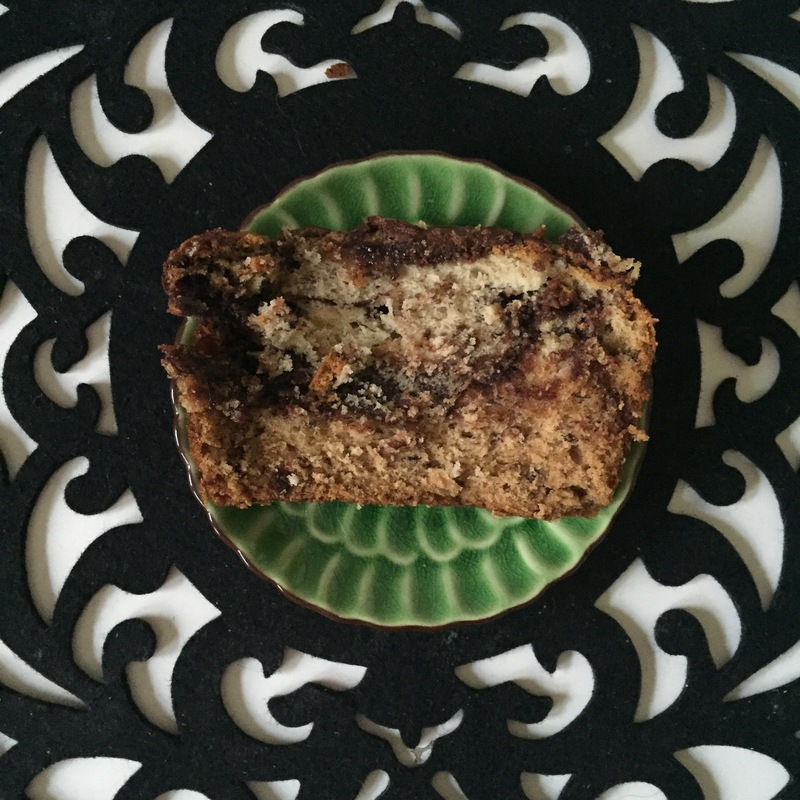 Before there was all this Pumpkin Spice crazyness, there was the original fall feel good treat, Banana Bread! A co-worker passed this recipe to me earlier in the month knowing my love of all things Nutella, and suggested I try it. You can be sure I bought bananas that weekend and not so patiently waited for them to ripe. As luck would have it, they were perfect just in time for the same co-workers birthday celebration! I will admit, I went a little too fast on the adding Nutella bit and had to redo that step, but when it was all said and done, the two loaves turned out super tasty, as evidenced by a clean platter retuned to me shortly after our potluck. Try the recipe here and let me know what you think!